Lee Strobel, the hard atheist-turned-Christian, examined the evidence for the authenticity of Jesus Christ and the gospels in his first book, The Case for Christ (link to review). Now, he’s back with a more abstract look at the Christian faith in general. How does his second book compare to the first? In my opinion, it more than continued Strobel’s legacy of clear, unbiased examination of the facts. Read on for the full review. The book is organized in the same method as The Case for Christ. Strobel conducts eight interviews with eight major leaders of Christianity, asking each of them to address a major objection he brings up. 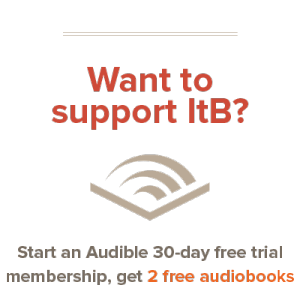 For this reason, it’s hard to summarize the actual content of the book – much of it is dialog between Lee Strobel and his interviewees. But Strobel attacks each problem with the same fervor that he reports news stories – aggressively taking apart each facet of the problem to examine all of the different angles and viewpoints. This book doesn’t stink of bias or narrow-mindedness. Instead, Lee is as fair to all possible viewpoints as possible. After all, this book reflects his personal journey from atheism to Christianity. He was determined to leave all of the options opened, but was convinced that Christianity was the only thing that could answer all of the questions. In his book, he does his best to convince you of the same. 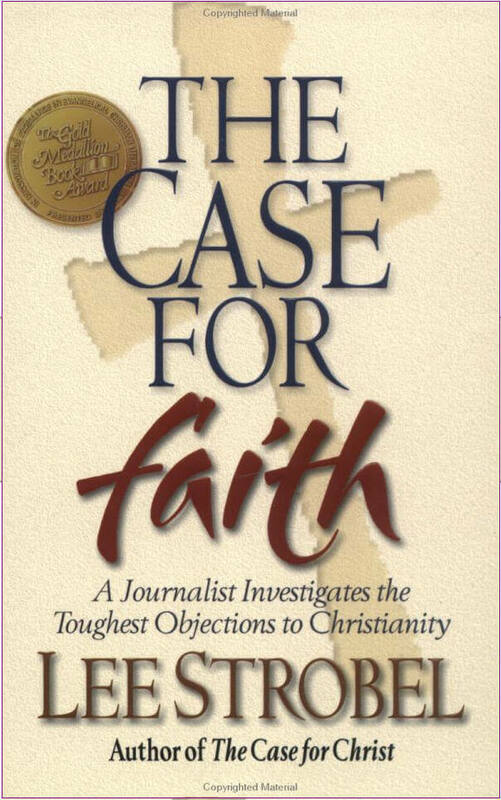 This book along with its companion The Case for Christ are useful books for anyone to read. If you are a non-Christian searching for truth or meaning in your life, yet you doubt Christianity’s veracity, these books can do much to assuage your doubts. If you are a Christian, these books can answer many questions as well, and help you in answering family’s and friends’ questions. Hopefully these books will draw you closer towards God and His Word. Not really sure you can say that he is presenting an unbiased view. He is “born again” Christian, that right there presents a bias. His writings are as apologist as all the others. Unfortunately he is as patronising as Richard Dawkins. While when he wrote this book he was a Christian, it was as a result of his unbiased look in to all options. Formerly he was an atheist, remember? Looking for clues to disprove Christianity, he was ultimately convinced that it was true. How is Lee Strobel patronizing in this book? He gives equal weight to the various arguments that people may have for rejecting the Christian faith. I don’t see him belittling them or making fun of them, only disproving them. Read that book years ago. Loved it. Strobel also wrote “Inside the Mind of Unchurched Harry & Mary.” Very insightful! New to your site and am very impressed at the work you put out. Avid readers indeed! What a bright, enthusiastic bunch of people you all appear to be. I read several reviews (mostly the theology books) and was impressed with the thoughtful way the reviews are handled. Nice job! There are several books I will likely read as a result of visiting your site. Thanks very much. Continued success! Very well-thought-out review. I have never found Strobel to be patronizing at all. He grabs my attention and doesn’t let go. So far “The Case for a Creator” has been my favorite by him. @Anonymous: I haven’t read a ‘Case for a Creator;’ I’m going to look that one up and give it a read. I have given up on expecting anyone I read to be unbiased. It just doesn’t make sense. They form their opinions and if they’re good writers, believe them passionately. For this reason, I can’t begrudge Strobel his somewhat exuberant endorsement of Christianity even if I am personally undecided. I have loved the books written by Strobel that I have read, thus far. While it is true that Strobel can’t escape his preconceived notions, in is also true that as an Atheist, he was very biased towards Atheism, at the time when he did many of these studies. So this gives weight to his arguments. He shows the facts. I love Strobel’s “you choose” approach. That was what brought things home to me. He didn’t dumb me down and say “here, let me spoon feed you”. He showed me the facts and felt I was intelligent enough to come to my own conclusions. Not surprised when someone doubts this book and thinks Lee is biased. But I have to agree with Andrew that this was a product of Lee’s journey from atheism to Christianity and he was just presenting his research. And Lee didn’t wanted to convert, he was just trying to disprove the claims of Christianity but he ended up convinced that the claims of Christianity is indeed true. I haven’t check out the Case for Faith but I really find The Case for Christ absolutely compelling. Thank you for this review, I will definitely get myself a copy of this book. Have you read The Ambition? It was Strobel’s first non-fiction book and I found that one very interesting. It was different from the other ‘Case For’ books. If you still haven’t check that one out, perhaps you can drop by http://booksforevangelism.org/ and read some of its’ reviews.